Dr. Michelle Bengtson has worked as a Neuropshychologist for over two decades and has used many treatments to help her patients, but when she fell into a severe depression herself and those methods didn’t work, she found her own healing from a Biblical perspective. In her book, Hope Prevails, Insights From a Doctor’s Personal Journey Through Depression (released in 2016), she told us her story and shared her hope with us. The follow-up to the book is this Bible Study, which can be used with the book or as a stand-alone study. Having read both, I can honestly say that I loved the book but I believe the Bible Study is even better because it gives us a plan to follow, and, I firmly believe that when we work through something like this together we have greater success because we are held accountable to others. This study is SO needed today. Please order. Buy one for yourself and a friend, or buy a dozen and commit to leading a study in your home or at church. Please share and tell your Pastors about it too. This book is going to change the lives of many! Below you’ll find the Amazon link to the Bible Study and also to the original book, which just so happens to be on sale. There you have it my friends. My most important message of the day. As for the blogging break? I’ll be back within the week with another important message to share. This one with lots of pretty pictures of what I’ve been up to lately. I’ve missed y’all SO much! sounds interesting,is it something that can be done on your own or should it be within a group study? I recognize that bridge! Come back soon! This can definitely be done on your own Melinda. 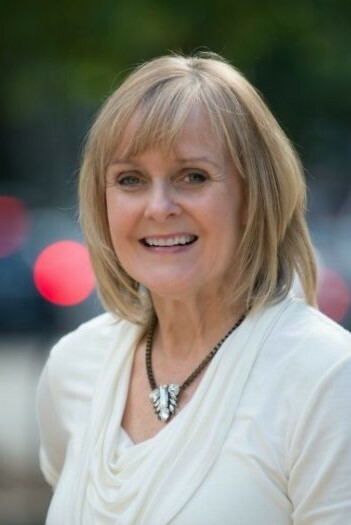 If you were to read Dr. Michelle’s first book, or follow her on Facebook, you’d realize the many hard things she has faced and still faces daily, yet she regularly practices the principles she teaches to remain free from depression. Glad you took a break from your break to highlight Michelle’s study. Loved Hope Prevails. Thanks Debbie. I loved it too and just want to spread the word! Have to love a friend who loves Jesus, freedom, and supporting other friends! 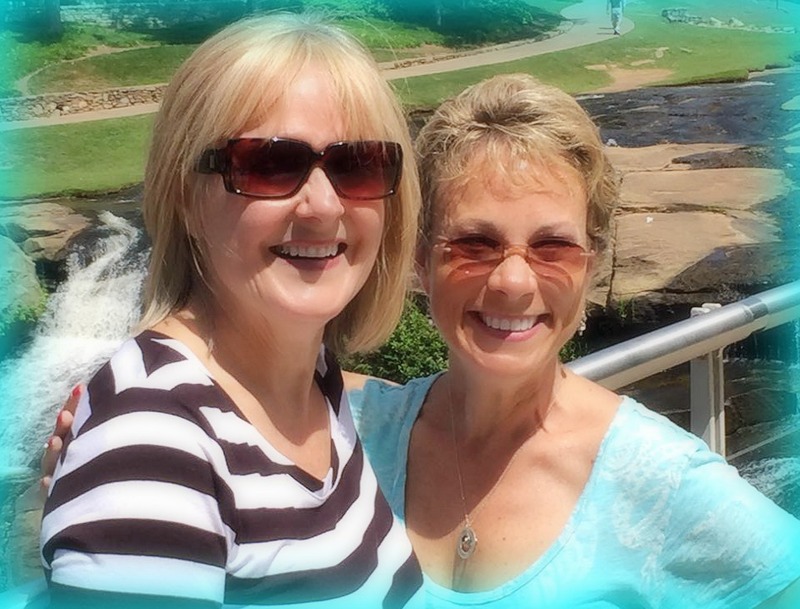 Thanks for supporting me and all things #HopePrevails Patti! You are a true #HopeAmbassador. Miss you! You are more than welcome my friend. I miss you too! We need a girl’s getaway when both our lives settle down. Speaking as I psych nurse, I’m very happy to learn about this bible study book. I know it has the potential to help many people, and I look forward to opportunities to tell others about it. Thank you for that Sharon. 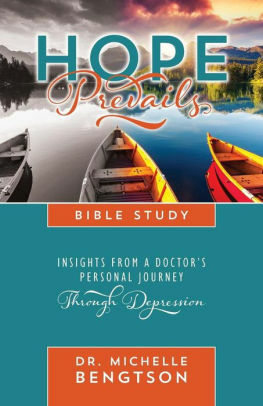 It really is the best and most unique book of it’s kind out there, and the practical and biblical Rx from Dr. B. are what make this so powerful to overcome depression! You guys are just the cutest in that picture, and this new offering from Michelle certainly sounds like it’s worth breaking your break for! Absolutely Michele! It is a great study. I’ve been seeing this book around the blogging world today, and all the quotes sound fabulous. Although I’ve never suffered with serious depression myself, I’ve had family members who suffer from it. It’s such a real thing and hope is always needed! You are absolutely right about hope always being needed, and while this book is written to offer hope to those suffering from depression it is also written for those who have people in their lives who are depressed. It is a great resource for helping others. Hope Prevails is a much needed resource and my prayer is for God to use it to help many! It is a fantastic resource Sue!